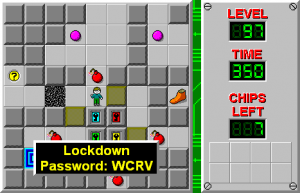 Lockdown - The Chip's Challenge Wiki - The Chip's Challenge Database that anyone can edit! Be careful with your blue key! Lockdown is the 97th level in Chip's Challenge Level Pack 4. It was created by Zane Kuecks, and its two-by-two lock mechanism is directly inspired by Colors for Extreme. 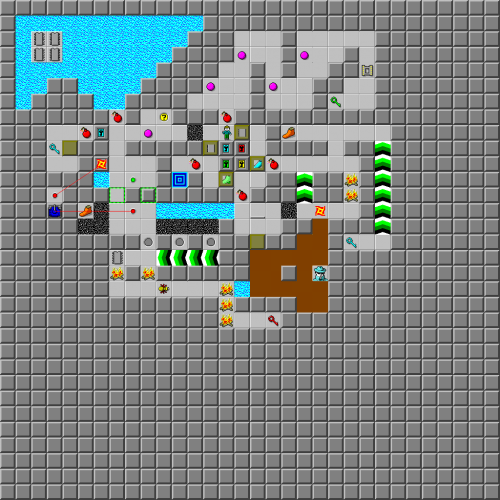 It is also the level where the second secret hint from Pneumatic Diversity Vents leads to.